Technology is growing at an exponential pace, and it seems as if new gadgets are being launched on a daily basis. In our parent’s day, children used to walk to school, and write on a piece of slate. Our generation graduated to dry-wipe boards, while our children have moved on to tablets, computers and all things digital. 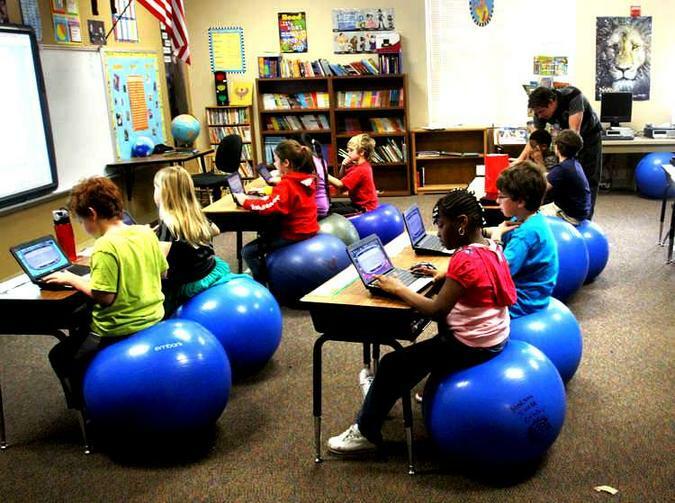 But how has all this new technology really changed the learning environment? eBooks are being used in more and more schools, and this means no more heavy books and binders to carry around, as everything is available on a tablet. Ideally, eBooks allow for a more interactive and flexible experience than regular textbooks, with teachers adding videos and relevant extra material where possible. Curious students can then explore specific topics further in their own time, and learn everything there is to know about dinosaurs or the solar system, without being restricted by the classroom environment. In this way tech allows for curiosity to be satisfied when adults can’t help, so the younger generation can be smarter than their parents. Assistive technology such as text vocalisation can help students with learning disabilities or special needs, and the ability to tailor electronic offerings to each student is one of the great advantages of new tech developments. Technology can also give children access to homework help, such as Dr Maths on Mxit, or can allow children to get help and online support anonymously if needed. Modern technology facilitates group work and online collaboration, allowing students and teachers to work together and monitor progress remotely. Research suggests that the ability to work together in this way is an important skill for a future that is becoming more and more connected. Mobile devices and educational apps have had a great positive impact on the way in which children in third world countries gain access to educational material. It is with this in mind that our own Xander apps were developed, as they can be accessed by anyone with a mobile device world-wide and start with basic concepts, thereby facilitating learning at an individual pace. Has technology had an impact on the way your children experiences their school environment? From textbooks on tablets, to apps that can track your children’s performance, we would like to know how tech has changed your life, for better or for worse. Share your stories with us on FaceBook and Twitter. This entry was posted in Technology, Xander Blog and tagged app, applications, apps, children, education, kids, learning, new, school, Technology.